I suppose the letter "Q" (query letter) goes quite well with our next entry. 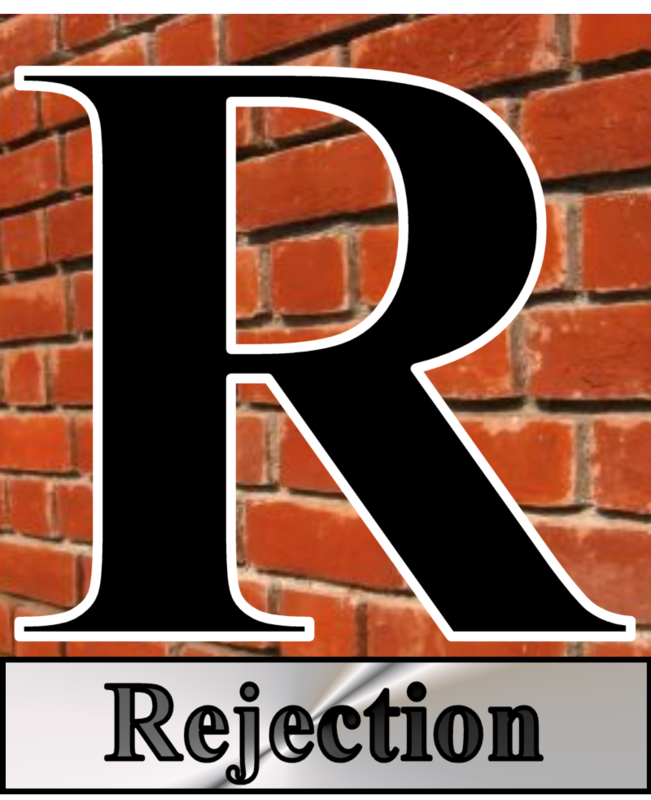 I don't care how great of a writer you are, I don't care what your connections are...any writer who says he or she has never been rejected is a dirty, dirty liar. Or...they've never sent anything out. EVER. Stephen King got rejected. J.K. Rowling got rejected. If God himself wrote an action thriller, He'd get a rejection notice. To be a writer is to be told "NO." You must have a thick skin and be willing to accept that you'll hear "NO" a lot. But for every "NO," send out another story, another query, another article. Because the writers who make it--and this really applies to all professions--are the ones who refuse to stop when they face rejection.